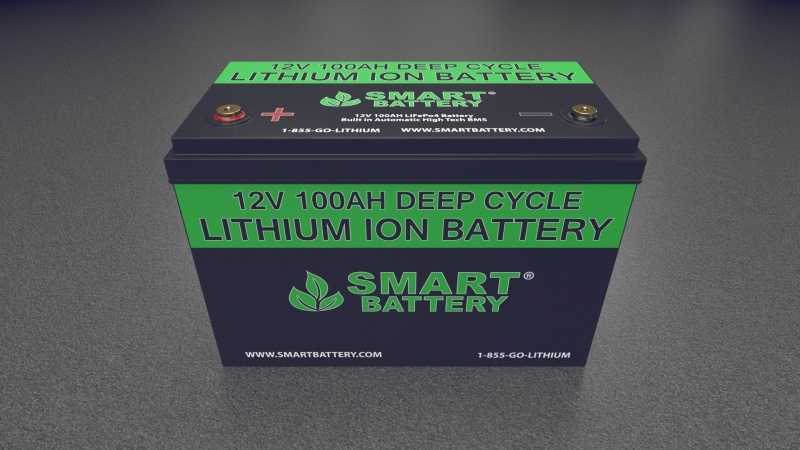 Smart Battery® is one of the World's leading manufacturer's of Lithium Ion Batteries designed to replace Lead Acid, Gel and AGM Batteries. A drop in Replacement and Upgrade from Lead Acid, AGM or Gel Batteries. 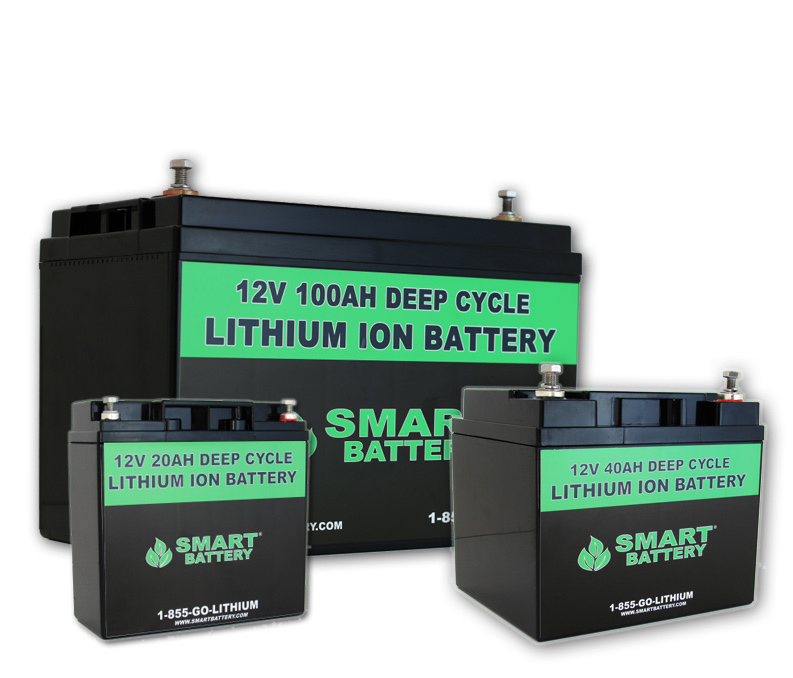 Smart Battery® Lithium Batteries are Plug and Play for any application currently using a Lead Acid, Gel or AGM Battery. Our Lithium batteries have an integrated BMS (Battery Management System) and are designed to handle superior abuse tolerance. 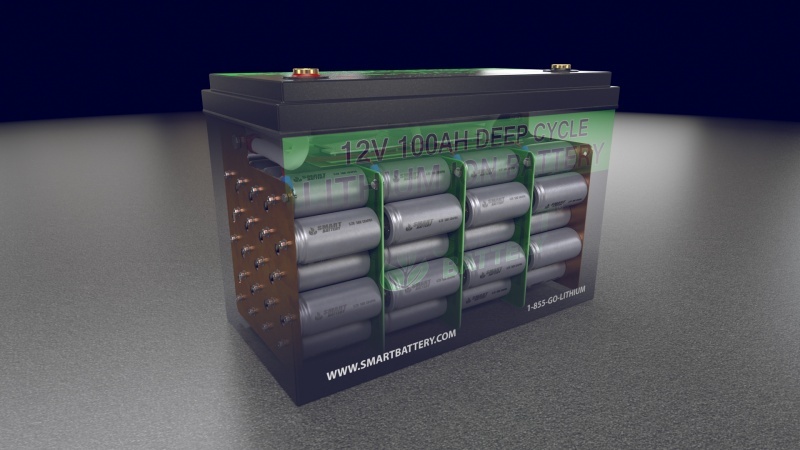 Smart Battery Lithium Batteries are dual purpose for starting or deep cycle applications and can be connected in series or in parallel. The BMS maximizes the performance of the battery by automatically balancing the cells and protecting them from being over charged or over discharged. 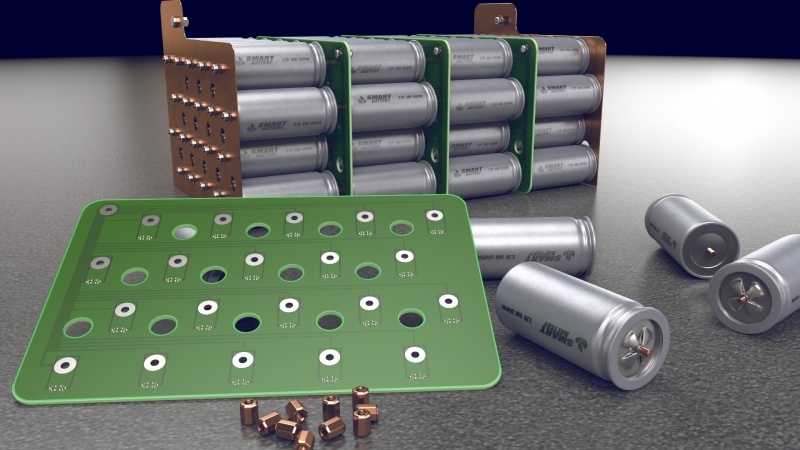 Our integrated BMS design is what allows our batteries to be used as a drop in replacement for any application requiring high quality, dependable and lightweight Lithium Batteries. Simply Connect your battery cables and you're ready to go. Smart Battery Lithium Ion Batteries can be connected in series and in parallel. Lithium Batteries average 70% lighter than the same size lead battery. 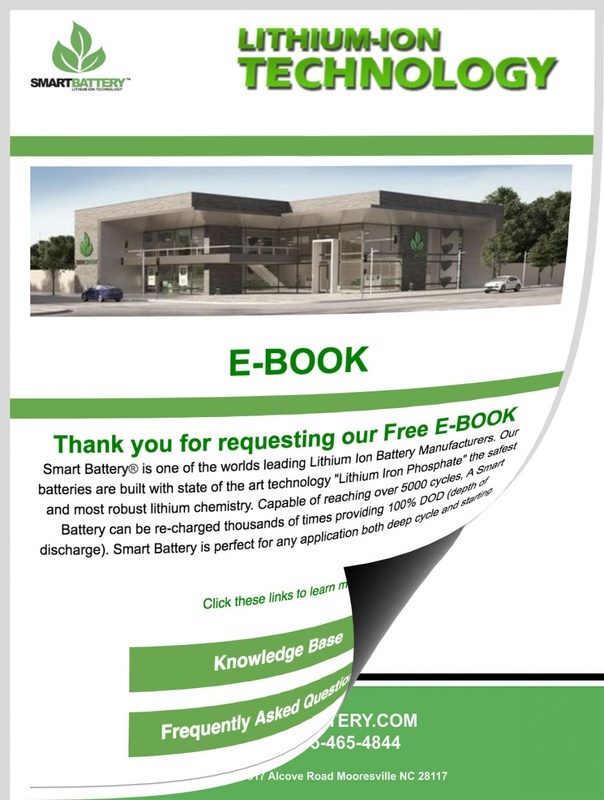 Smart Battery Lithium Ion Batteries can be discharged to 100% of the rated capacity. Smart Battery Lithium Batteries outperform our competitors in Quality, Safety, Reliability and Life. Group 24 | 25 Lbs. Group 27 | 28 Lbs. Group 31 | 28 Lbs. Group 8D | 72 Lbs. Group 8D | 95 Lbs. 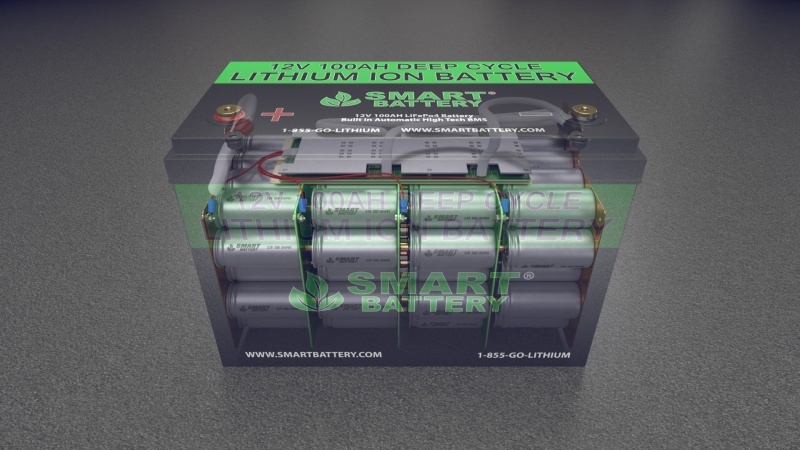 Smart Battery Lithium Ion Batteries are a drop in replacement from Lead Acid, AGM or Gel Batteries. Simply connect your battery cables and your ready to go. Connect multiple batteries in series or in parallel. Charge using standard 12V battery chargers. Life Cycle Leader, our batteries are built to last up to 5000 cycles compared to around 300 with lead batteries. 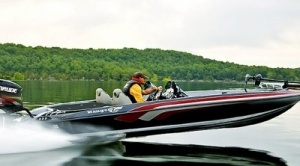 Our marine lithium ion batteries provide both starting power and can allow you to safely use 100% DOD (depth of discharge) for your house bank . With less than 1% a month self discharge, vessels with our batteries can stay fully charged for over a year with no use. 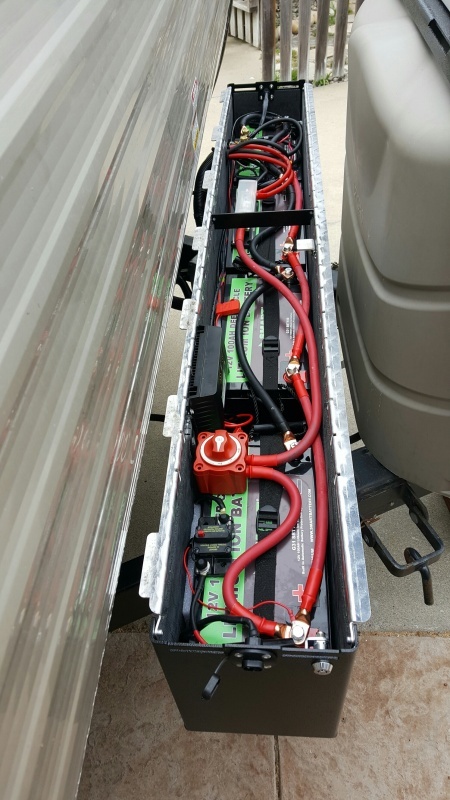 Smart Battery Deep Cycle Lithium Ion Batteries are designed for Motor homes, Travel Trailers and Fifth Wheels. 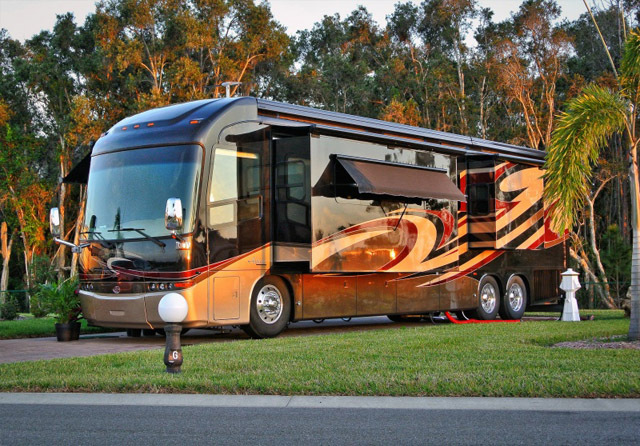 Easily upgrade your coach batteries with the industries leading lithium ion battery technology from Smart Battery. 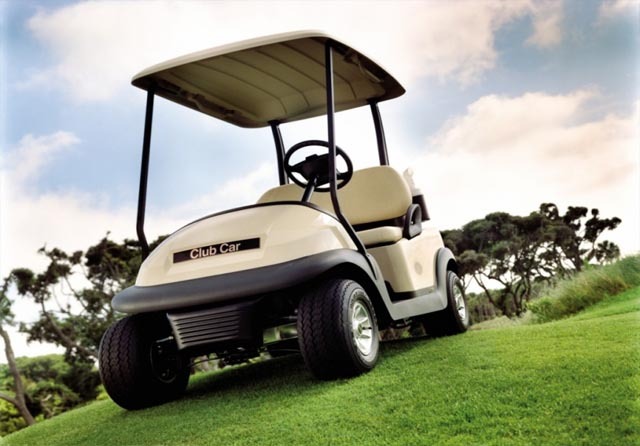 We manufacture our Lithium Ion Golf Cart Batteries as a drop in replacement from lead acid batteries. Simply take out your old batteries and put the Smart Batteries in the same way, using your existing cables connect the batteries and your ready to go. MARTIN MONTEITH Purchased this to use as house battery on my boat, I'm really pleased with performance, just wish I had this long ago. I run 2 fridges and small freezer, all work even better than full power from previous pair of batteries as these charge to a little higher voltage. We anchor out lots and so happy to have something that really works well..if you like to anchor out on the hook for any length of time don't hesitate to spend the extra ,you'll be so glad you did..
CUAUHTEMOC LOZA Had previously bought six 100amp Lithium Ion batteries, from SmartBattery, for use in my Solar/Wind powered RV. The six batteries have been in use for over one year running 24/7. I wanted an additional battery bank so I bought this 300amp battery. I am completely satisfied with my purchase. So much power in such a light battery and it looks great too. Will be buying a second 300amp battery for a grand total of 1,200amps! MICHAEL SUDDER I am a Captain on a 54' Sport Fishing Boat. The twin diesel engines take a lot of Power to start. Typically we go out everyday and start / stop the motors at different fishing locations. throughout the day the batteries would get weaker as some electronics run on it and from starting. Now that we installed the Smart Batteries the boats engines crank over without any hesitation and have a noticeably faster start. This provides me with confidence in shutting the motors down while off-shore and knowing I have plenty of power to start back up. 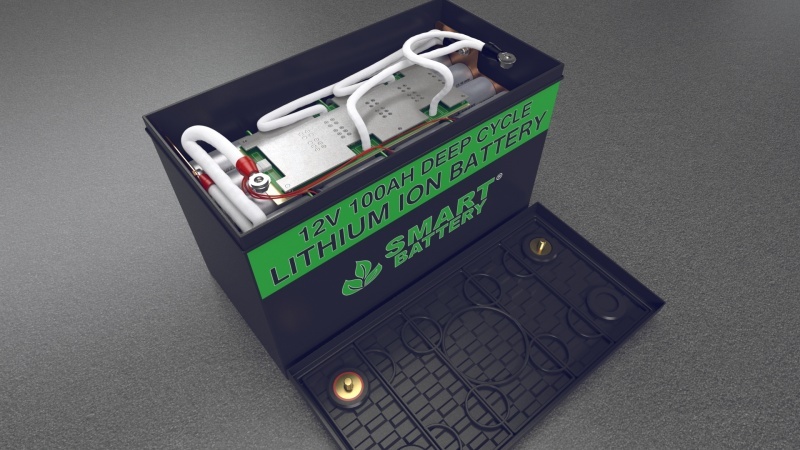 No matter how you play with the numbers, formulas and assumptions - Over the life of the battery the Smart Battery® Lithium Ion Battery costs less than lead batteries. Smart Battery technology can last up to 5000 cycles. Typically a deep cycle lead battery will only last around 300 - 500 cycles. Meaning you may have to replace your lead batteries over 15 times to equal the life of just 1 Smart Battery. Smart Battery Lithium Ion Batteries will save you thousands of dollars over the life of your application making this a Smart Investment. Think about all of the money and frustration you have spent on lead batteries. Lithium is a green alternative that is quickly becoming the technology of choice for thousands of people and business's around the world. Designed to replace outdated Lead Acid, Gel and AGM batteries. Thousands of people are using Smart Battery for hundreds of applications around the world. 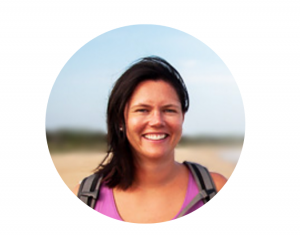 But don't just take it from us, here are some testimonials from people who matter. 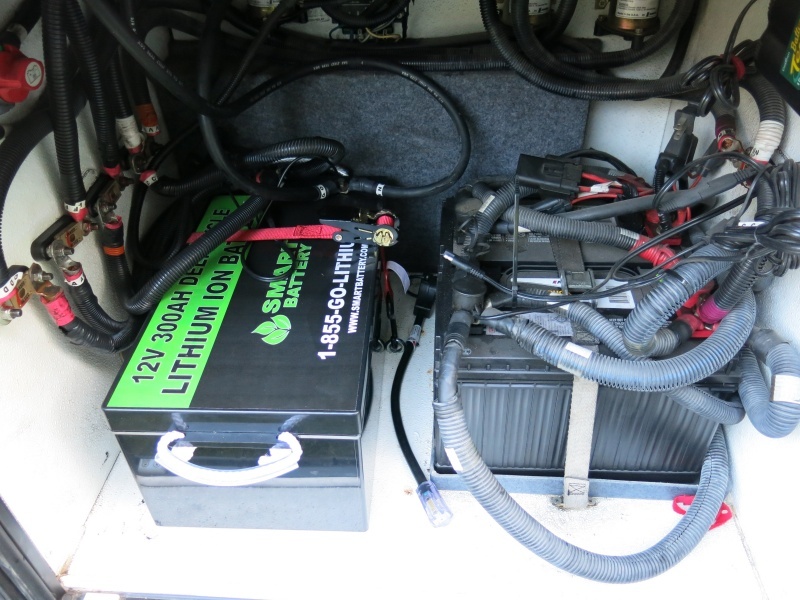 Our firm uses Smart Battery's 12V 100AH Group 31 Lithium Ion Battery in over 40 fleet vehicles and we love them. Currently we have to change out 3 batteries per vehicle every 6 - 8 months due to heavy amp draws our equipment placed on the lead batteries. 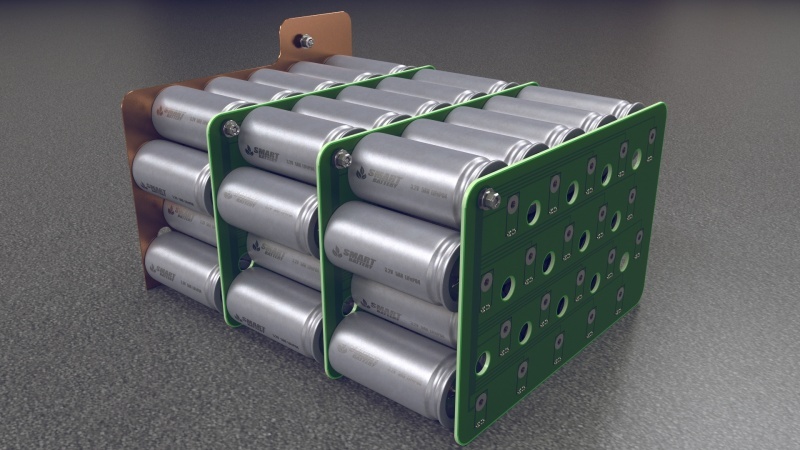 The Smart Battery is designed to handle these heavy loads without sacrificing life of the battery, we are expecting over 5 years in our vehicles that would require over 6 sets of lead batteries to last as long as one set of lithium batteries. Eliminating maintenance and downtime of our equipment. We also considered the environmental impact of switching to lithium batteries from lead acid batteries knowing the lithium batteries are non hazardous we are reducing our carbon footprint and getting a much better battery at the same time. I required a high quality lithium battery to run electrical equipment and for emergency back up power. Smart Battery was able to assist us in determining the best battery to use based on the power requirements should we experience a power outage. Having a reliable and practical solution is important to keep our systems running in the event of a power outage. 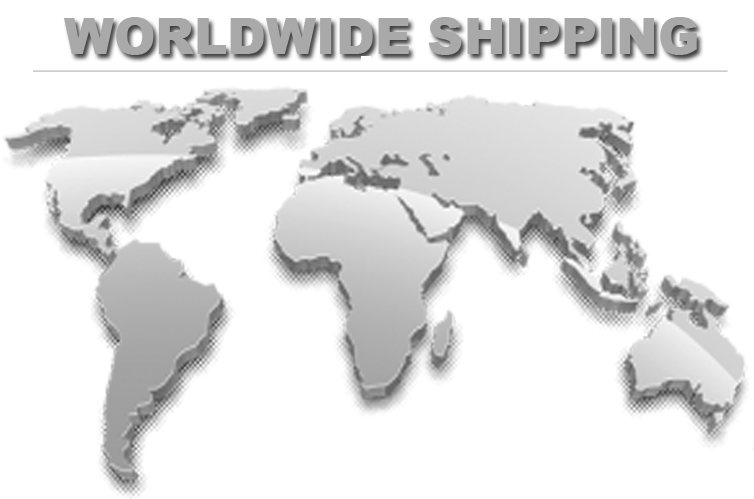 Lead acid batteries are hazardous and cannot be used in our factory due to safety concerns with off gassing, Lithium ion batteries were the best option and finding Smart Battery was a quick and easy solution for us. I am an artist and travel in my RV along with my wife Dawn and our dog Lucy. We are often camping off grid and run our lights and inverter off our lead batteries which would only last for a couple hours running lights and our TV. Our generator auto start turns on is very noisy so we were researching better lead acid batteries for our coach when we came across Smart Battery at an RV show in Florida. The benefits of lithium ion batteries vs lead batteries for our coach seemed like an obvious choice considering how much off grid camping we do. Our coach formerly required 4 - 6V lead acid batteries, The rep at their booth explained we only needed two of there 12V batteries to connect in parallel and that would replace all 4 of our 6V lead batteries due to the lead batteries not being able to be drained more than 50% of their rated capacity, leaving us with 50% unusable dead weight (literally). We decided to go ahead and purchased 2 - SB100 lithium batteries from Smart battery and have been happy we did. Our coach has enough battery power to run our lights and TV as long as we need and have not turned off on us yet. When we camp in cold areas the batteries keep our heater running all night whereas before our generator would cut on in the middle of the night to recharge the lead batteries. We absolutely love the batteries and recommend them for anyone looking to upgrade there coach batteries. 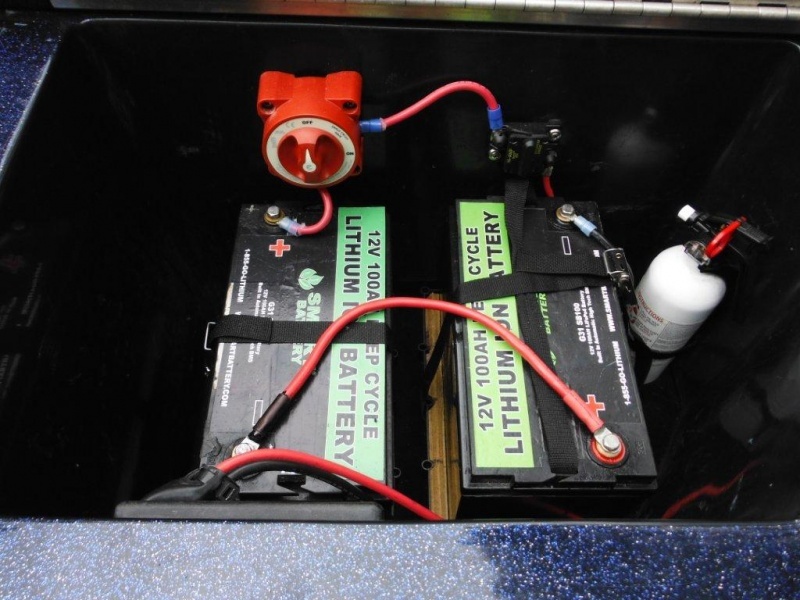 Purchased Three - 100AH Marine Batteries 06/2012 and I fish all year long in North Carolina>>>>These Batteries are still as strong as the first day I put them in my Bass Boat. After fishing for stripers in the Cape Fear River for 5 - 6 hours would completely discharge three optimas (the 65 lb. blue tops), But with the Lithium Ions I still have 50% left and they are over 100 lbs. lighter and completely recharge in two hours. After Four 1/2 years that's some great batteries! Bob Rainey, Wilmington NC.